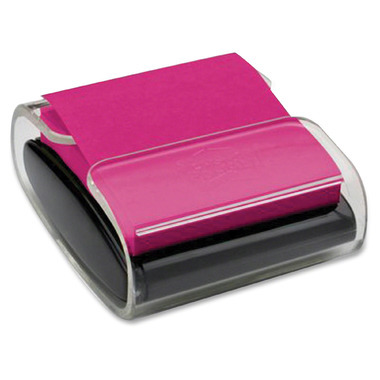 Note dispenser features a clear acrylic outer shell to display the color of notes. A weighted base keeps the dispenser in place on your desk. Dispenser comes with a 45-sheet pad of 3" x 3" (7.62cm x 7.62cm) Super Sticky Pop-up Notes.